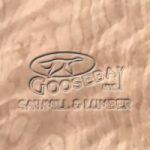 Cherry, Curly - Goosebay Sawmill and Lumber, Inc. Figured cherry, or curly cherry, has a patterning similar to that found in curly or flame birch. It is a wide, softly swirling curl that catches the light in wide gleaming swaths across the wood. It is much more open and less tight than the figuring in curly (tiger, fiddleback) maple.